Planning a honeymoon can be overwhelming AF. Luckily, you have me to help! (And trust, I’ve been there—mine was three weeks long and involved four countries, six cities, and seven hotels.) The bottom line is that an epic getaway requires thoughtful execution. Here’s a step-by-step roadmap to guarantee that your honeymoon planning is as pain-free as possible. 1. Determine the length of your trip. 2. Settle on a destination. Once that’s decided, couples may want to consider choosing a locale that pushes their respective comfort zones. Tom Marchant, cofounder of luxury travel company Black Tomato, recommends being as open-minded as possible. “Sometimes the most unthinkable pairings tend to work very well and have easily accessible flight routes,” says Marchant, who suggests multi-stop combinations like Rwanda and Mauritius, or Zanzibar and Oman. Thailand was an absolute must for our honeymoon. Check out my beginner’s guide to planning your first trip to Thailand here. 4. Decide whether to enlist the help of an expert. Couples making their own arrangements often feel inundated with options. An easy way to narrow things down, says Lakin, is to think about the best places you’ve stayed and what you liked about each. The size of the property is another major factor: Are you partial to bigger, mainstream brands like the Four Seasons and One&Only, or would you prefer something more bespoke and boutique? 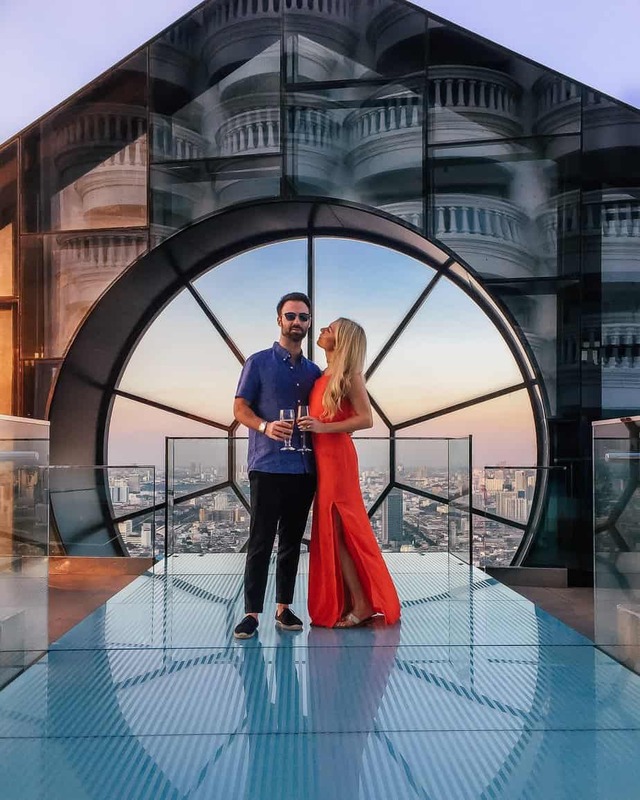 “We also recommend looking into what type of perks the properties offer honeymooners, which range from standard amenities—the obligatory champagne and treats on arrival—to suite upgrades,” says Marchant. “Aside from the perks, it’s really about whether the couple wants to be in the middle of it all in a world-class city or get away from it all at a beachside resort.” Lakin adds that while hotels don’t typically advertise honeymoon “discounts,” many properties will offer lower rates to newlyweds, who tend to spend more than the average guest. 6. Finalize your itinerary and arrange activities. You have successfully subscribed to the @LindsaySilb newsletter.